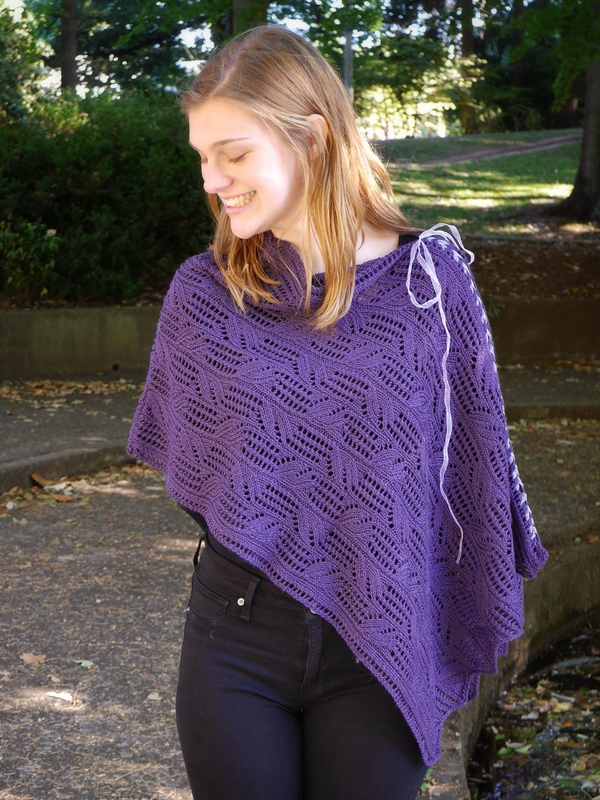 I designed the Trellis Vines Stole/Poncho for Knit Picks two years ago. This was a year after I designed my Tilt Shift Wrap (I was afraid to call it a poncho, shades of the 1970s), and I wasn’t sure how long ponchos would be popular. So I hedged my bets and designed it as a stole that could be laced up into a poncho. Interestingly, Knit Picks only photographed it as a stole for their book, Aura: 2016 Spring Collection. But it does make a lovely poncho. You can hedge your bets, too. If fashions change, you’re covered either way! 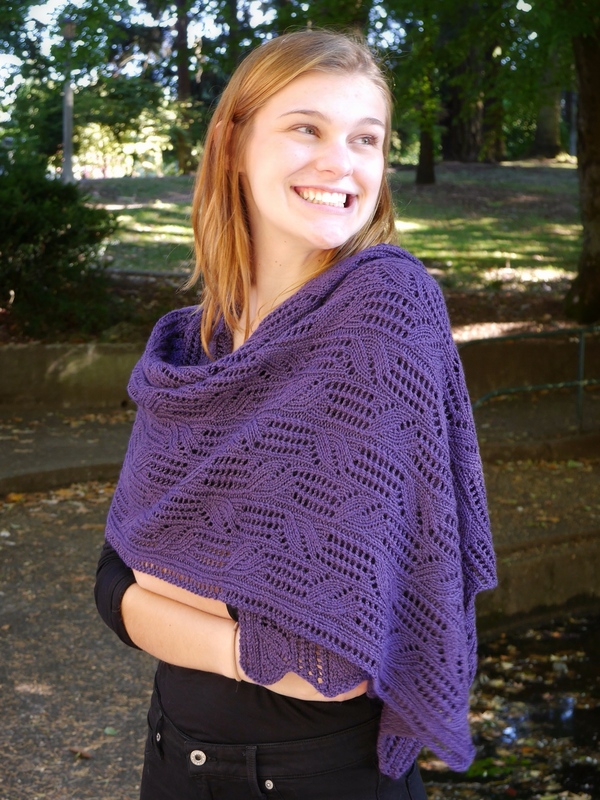 The pattern is now available from me through Ravelry, as well as through Knit Picks. It’s on sale for 10% off through April 9 on Ravelry, no coupon required, or 20% off with coupon code for newsletter subscribers. 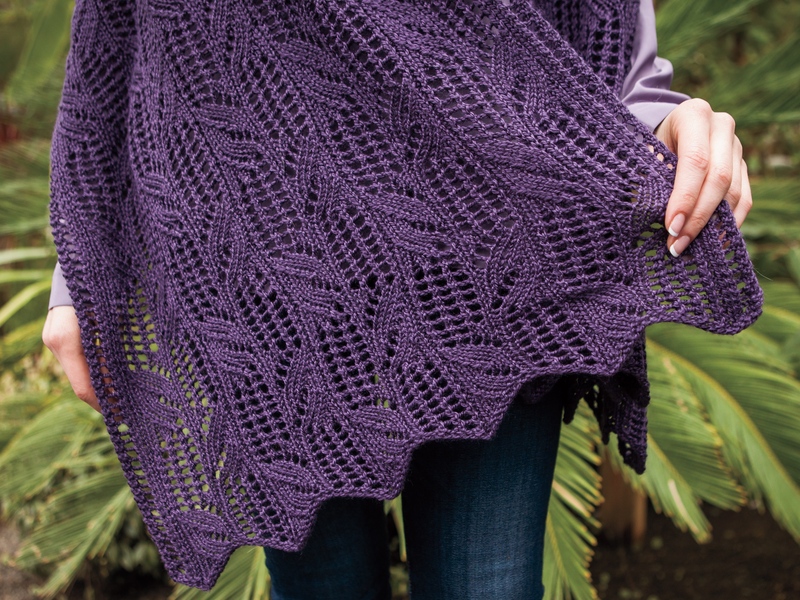 Trellis Vines is knit in two pieces with sport weight yarn, and joined with a three needle bind off at the center of the piece. Working it in two pieces gives each end a zigzaggy edge. Trellis Vines Mitts can complete your look. 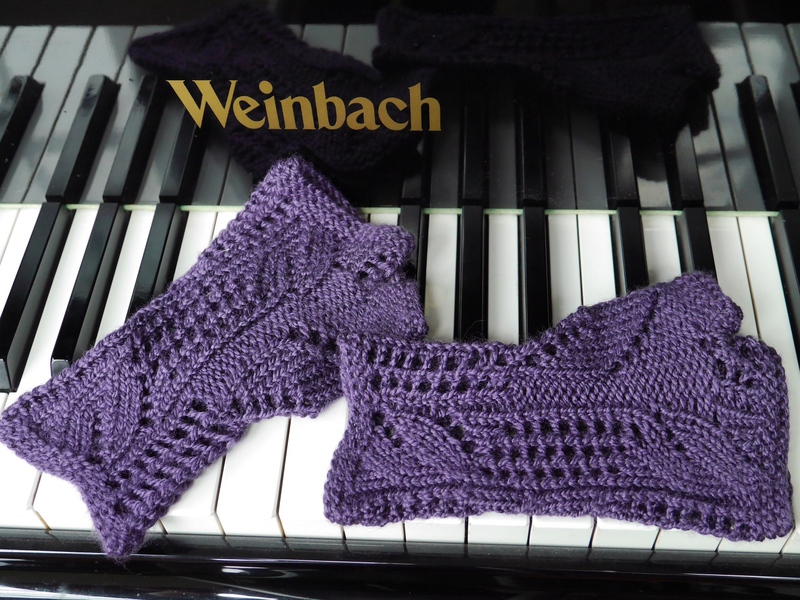 The pattern is available from me through Knit Picks for $3.99, or as part of my Beanstalk Scarf and Mitts set on Ravelry (10% off on Ravelry through April 9. I knit Trellis Vines with Knit Picks Galileo, a yummy sport weight 50/50 Merino/Bamboo blend. I’d recommend a yarn with some rayon/bamboo/tencel/silk in it, for great drape and swing. 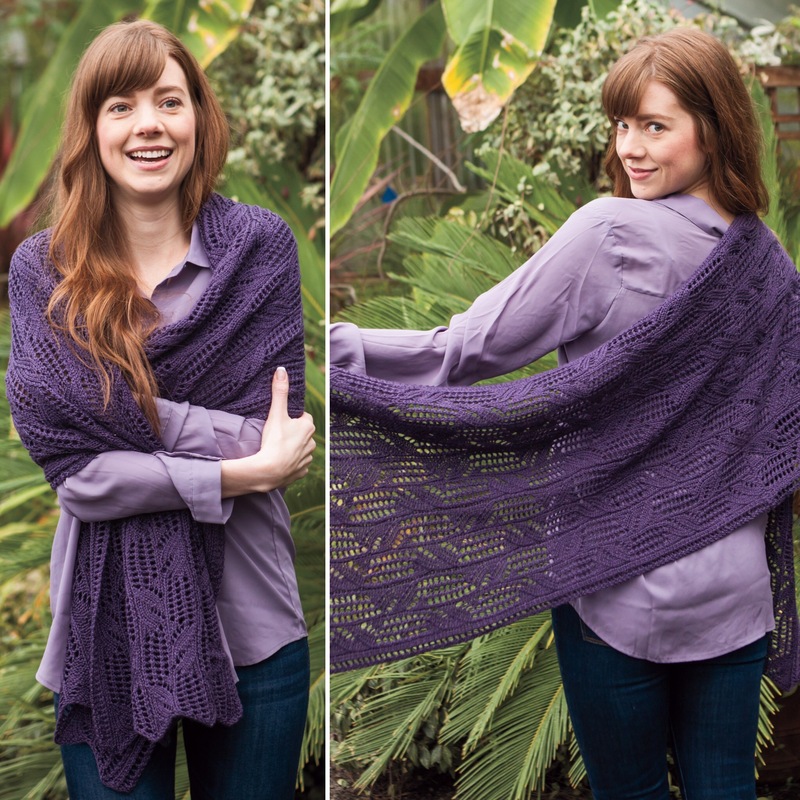 This medium weight yarn gives you enough warmth for spring days without being overbearing. Happy spring! This entry was posted in Knit, pattern design, yarn and tagged Beanstalk Mitts, Trellis Vines Mitts, Trellis Vines Stole Poncho. Bookmark the permalink.